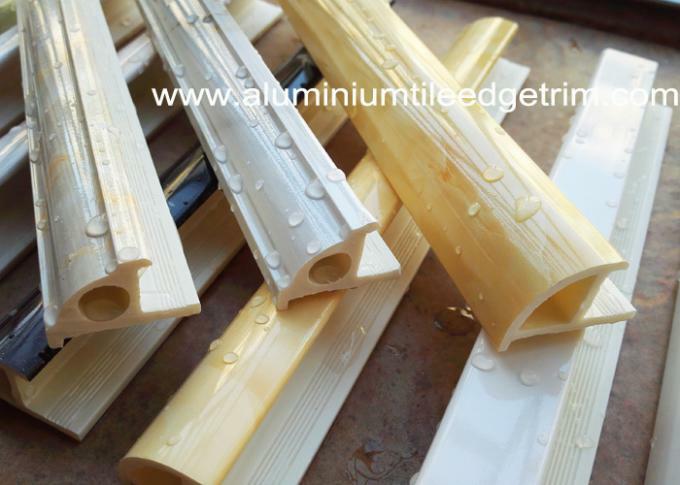 Our Round Edge PVC Tile Trim Corner is designed to safely and simply cover rough edges and stay effective in extreme weather and temperatures. This Custom Building Products PVC Bullnose Tile Corner Trim With Marbling creates a beautiful rounded finish to your project while protecting your tile edges against chipping. Manufactured from premium rigid PVC and Calcium carbonate powder, The rounded PVC tile trim profile is also ideal for tiled wall corners. Our products are easier to install than those of other competitors, and are proudly made in China. Our Round Edge PVC Tile Trim is designed to safely and simply cover rough edges and stay effective in extreme weather and temperatures. 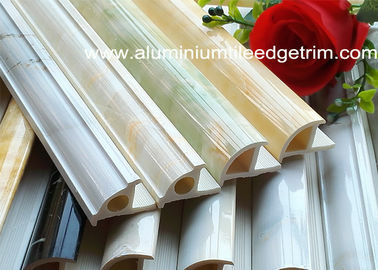 The marbling PVC tile corner trims,or tile edging trims are section profiles that provide a neat finish to the outer edges of the tiling, making it unnecessary to mitre the tiles. color different marble color, Huge range of other colours available to order.